This little Deco Bakelite Zenith has one of the most unique cabinets Zenith ever made. 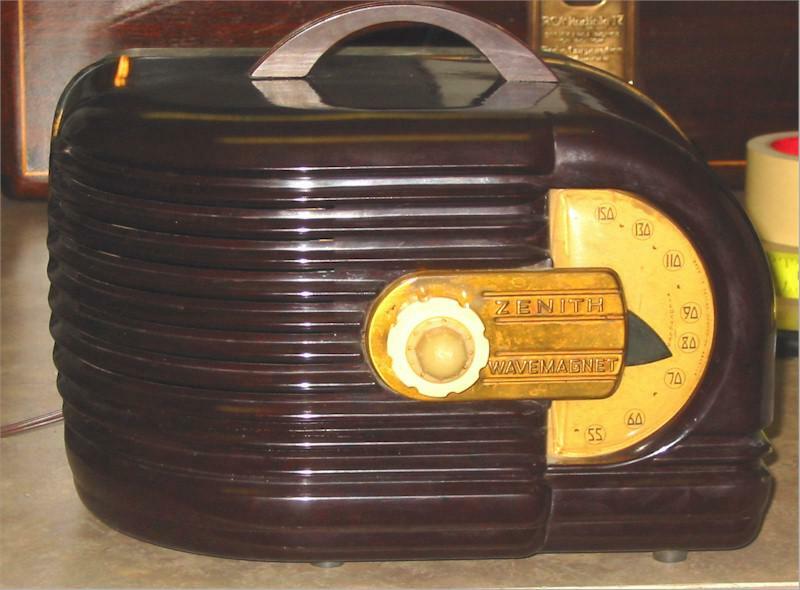 The 1938 Zenith lineup had many Deco cabinets. This paticular set has the Wavemagnet loop antenna back which makes it fairly scarce, unlike the 6-D-311 which used the same cabinet without the Wavemagnet antenna and carry handle. The cabinet on this radio is super. The chassis is very clean and has been electronically restored; plays loud and clear. 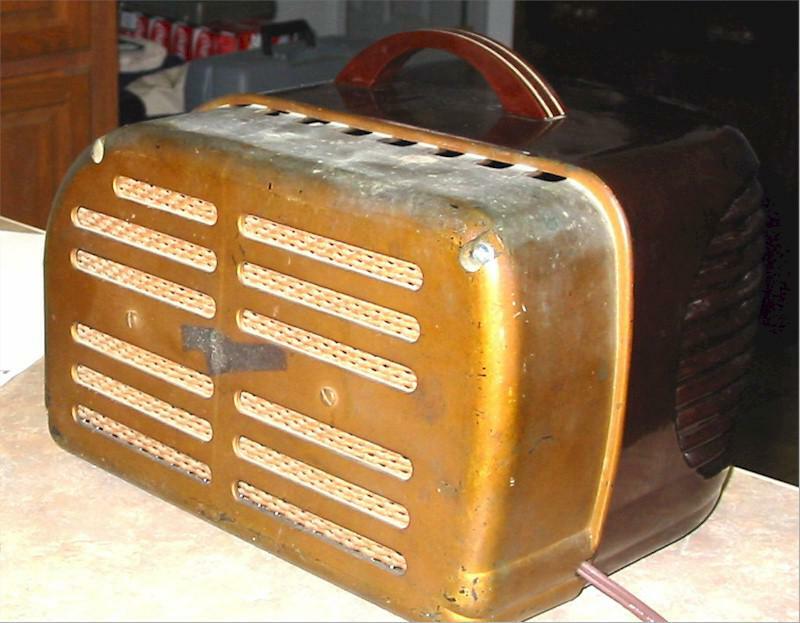 The original speaker was reconed by "The Speaker Shop" in Lima, Ohio, so no rattles, just good clear sound. This set is highly collectable and will definitely be a good addition to any collection. 11"W x 7"H x 8-1/2"D.
You are visitor number 8,723 to this page.